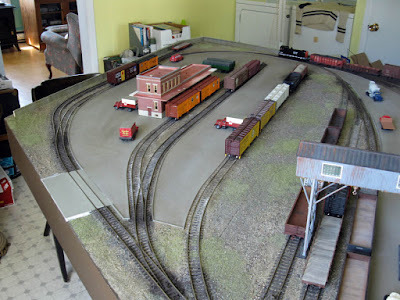 As promised, here is a general overview of different new upgrades on the layout. 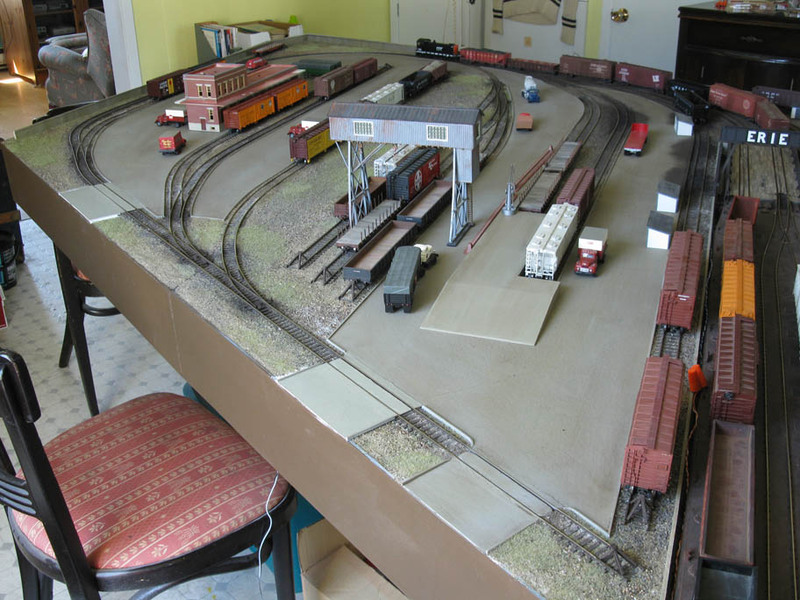 As you can see on these pictures, the layout is now in its second operation session. 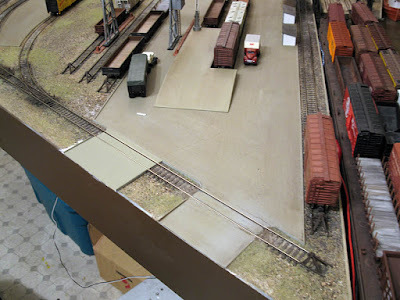 A new styrene concrete ramp now graces the twin team tracks. It follows the prototype as closely as permitted by source material. Also, two new grade crossings were added according to recent discoveries. They aren't yet weathered and ground cover isn't yet complete. 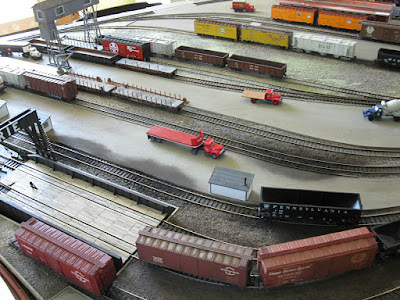 Also, a third wood and dirt grade crossing will soon be added in front of the freight station. Finally, another improvement was the addition of coal dust spills over the concrete ramp following prototype picture. They truly help to kill the fake look of concrete and I'm planning to add a little bit more weathering in the long run. I also started to work on the gantry crane. It isn't an exact replica of the real one at Harlem Station because I did want to use parts I had on hands. However, it follows the general lines and I believe it will work as a decent model. Sorry, the workshop is a real mess right now! I'll probably use the same approach about the small coal dealers' structures to save on time and material. While I want the layout to be as close as I want, I still have a time limit to complete the project and Jérôme - the future owner of the layout - want a decent depiction of Harlem Station and not a prize-winning museum model. 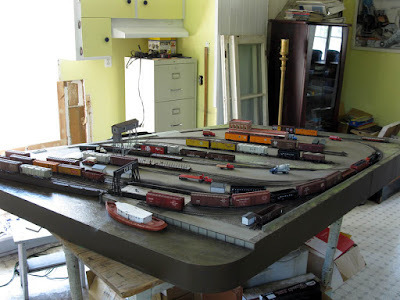 On the good side, I found some old suitable models to populate the layout. 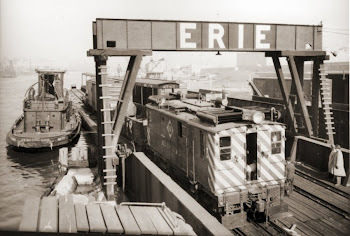 I still need Erie boxcars thought!